Innovation can come in all sizes and forms. 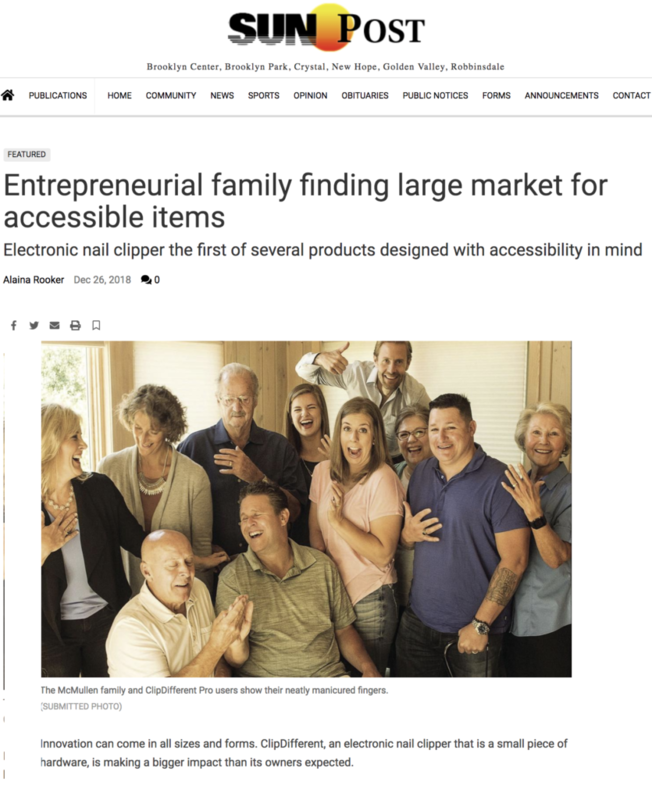 ClipDifferent, an electronic nail clipper that is a small piece of hardware, is making a bigger impact than its owners expected. Golden Valley resident TJ McMullen III has been working with his father as the product has come to fruition. The handheld device is battery operated and works by placing a finger near a small window. Within the slit, a mechanized clipper knows where to make the cut without harming or pinching the skin. A small drawer collects the shavings. McMullen’s father, Tom, has worked on different types of clippers for nearly 37 years. At first, he tried to find a way to make a traditional clipper completely out of plastic. McMullen recalls Tom holding a metal clipper in the air, wondering aloud how it could be done. After further exploration, Tom realized that it wasn’t what the product was made of that would create demand, but who could use it. TJ McMullen said his father began thinking about iterations on iterations of the clipper for those people.